5 Minutes for Fido: Bring on the Chips and Kibble: Chapel Hill is Still in it! 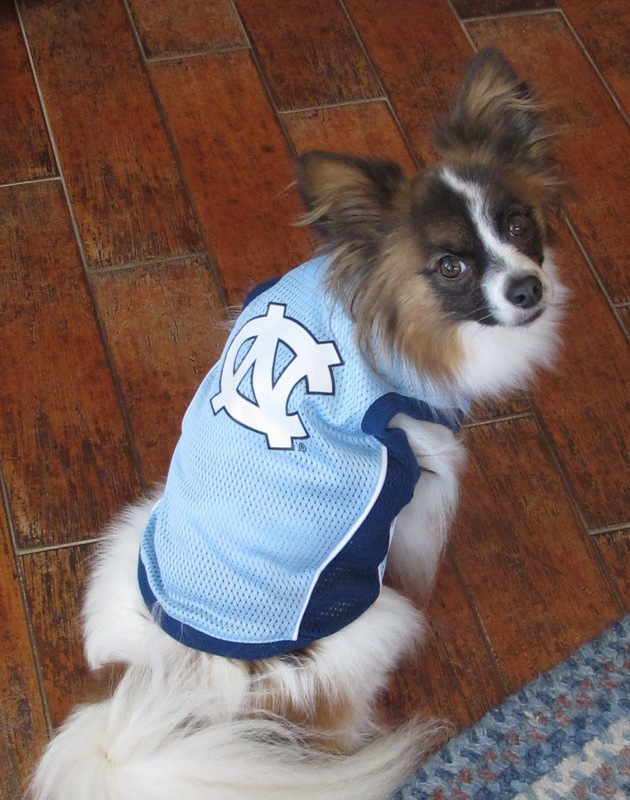 Bring on the Chips and Kibble: Chapel Hill is Still in it! As of this past weekend's round, Chapel Hill is still in the running. My boy is pretty happy about that news. If you happen to be looking for Chapel Hill sports stuff for your pup, I know just the place. Like my cool basketball jersey? I got it at Sporty K9. Our mom shared some info on them today. You might want to check it out at All Things Dog Blog. If your pup needs college or pro sports clothes, toys or accessories, now you know where to go. Great basketball jersey on your sweet sweet model!